for a while there we all felt like singing, to the melody of “the twelve days of Christmas”…on the fourth day of Fay-ay, my true love gave to me. but then she (the hurricane that dissipated into a tropical storm) finally inched her way westward. we had mucho precipitation, but thankfully no major damage. basically, Fay was a snoozer. even if she had decided to become a tyrannical twister-sister killer of a tempest, this is what i did, as i always do, in face of any hurricane approaching — big or small, fast or slow (these storms are so unpredictable–a tropical storm today can be a killer in the next few hours). once those preparations are done, i practice the most difficult thing of all, which i spoke of in my last post — let go let God. i always thought the name God must have come from the word good. but my source book for etymology (study of where words originate), the Chambers dictionary (published in the U.K.) says, “from a Germanic root guth, God, and quite distinct from good.” so if anyone happens to know more specific origins of this ubiquitous name for the Supreme Being, this name we say in English, God, I’d be very curious. thanks. I’ve tried googling it, but it’s very confusing, this word. it’s just another name, anyway, for an totally incomprehensible thought, a Divine Being such as Jehovah, Yahweh, Allah, Deus, etc. the names given for this concept in all the many tongues of humankind. a young friend of mine, Marshall, who also practices meditation, and has found guidance in the awareness teachings of Thich Nhat Hanh, happened to ask me this question yesterday, which i thought most provocative. i wish i had had the insight to ask this question, when i was first started off on my spiritual journey. but i wasn’t so lucky to find a trusted teacher until much later than Marshall. as we spoke of living the spiritual life Marshall asked me: “what about doubt?” to which i could only answer that, for me, the decision to embrace the Truth that this life we all live is a spiritual one, and we are all spiritual beings having a human experience, is based on my inner experiences. when i began to sit for meditation it was the first step in taking the most important journey of my life. the places i journey to inwardly are unspeakably beautiful, fulfilling, and blissfully all-encompassing. meditation is the best way i’ve found to plug into the true energy of this existence we call life. we only have our own experiences to rely on, really. BUT…and i forgot to mention this to Marshall (i hope he reads it here) i am very fortunate to have had another source of reference, that, years ago, put my ever-questioning mind at rest about whether or not this life really is about tuning into the spiritual, psychic, ineffable energy surrounding us. this experience of mine came at the moment of my father’s death, from cancer. i was with him at the end. he had always been a self-proclaimed agnostic, never sure of anything concerning the God-question. when he finally arrived at the end of his disease-destroying struggle, Dad began to leave his body. his consciousness would just … slip away, quite literally. i was there in the room with him to witness his uncanny sojourns into other realms, planes-of-being to which i could not venture, and could hardly fathom. Dad was swaying as if flying, with his arms out-spread, making coo-ing noises that sounded enjoyable, on his part. i was quite startled, looking at this big, generally down-to-earth man with an oxygen tube hooked up to his nose, all six-feet-five of him, looming over his bed as if he were a gigantic Icarus in earthbound-flight. all i could do was just sit and watch, and make sure Dad didn’t fall and hurt himself. it was quite evident he wasn’t in his “right mind” because his eyes were totally out of focus. he didn’t respond when i called his name. it was as if he were in another realm altogether, from the one we shared, physically, in that little bedroom in St. Augustine, Florida. when dad finally came all the way back into his body, i was there, sitting patiently, waiting. until he recognized me at his side, i was tingling with the sensation that my father had given me such a gift! a gift by virtue of me witnessing his experience. i felt like a journalist who objectively sees, then later reports, a factual event. my heart and mind were filled with bursting energy–call it gratitude, call it an epiphany–whatever it was it was BIG, because my dad, in his pre-death flight plan-check, had inadvertantly shown me PROOF of something i had only suspected all my life. 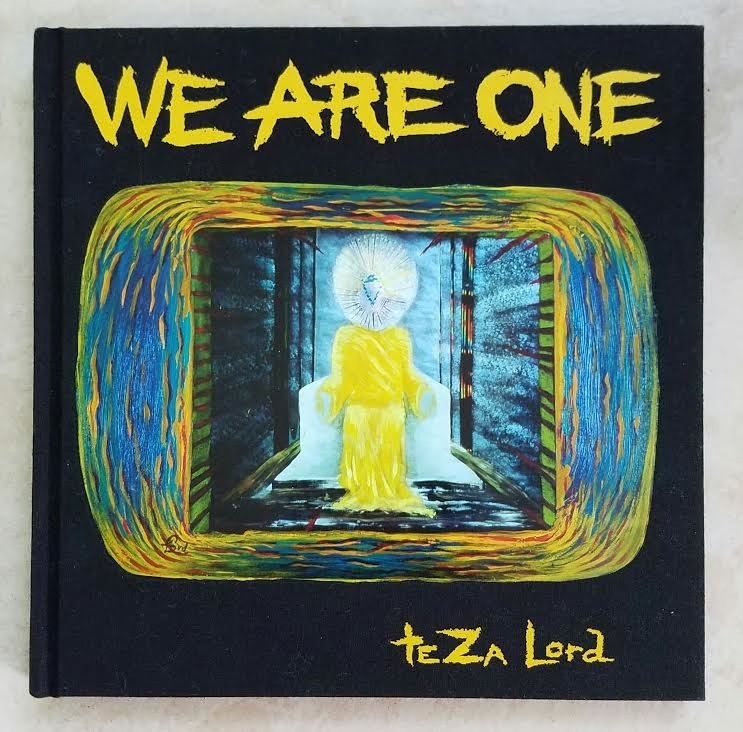 that we are, indeed, all ONE. Dad’s eyes grew wide. he looked at me, who simply reported what he had himself just said, what he had just witnessed. he believed me. he had to. to this day i accept that experience with my father as a special gift i was given by him, of witnessing his psyche preparing to pass into the next realm (he left his body for good the very next afternoon). for two reasons i believe this experience a benevolent gift: first to give him, my Dad, assurance and comfort, in his quickly approaching passing-over, by the mere fact of my being able to report back to him what he’d told me, what he himself saw and experienced, this ONENESS he spoke of. it was he who had seen IT, felt IT, experienced IT; that fact alone must have given my dad as much comfort as i, a mere reporter, a bystander. and secondly, i feel that my father gave me the gift of truly believing in something that, up until Dad’s handing me this undeniable PROOF, had been about me having faith that we are all One. true, i’d already suspected as much, from my nothing-less-than-cosmic meditation experiences, but — just like everyone who thinks about these things — you really have to rely upon faith, because Oneness is not scientifically prove-able (not yet! but i hear scientists are closing in on the metaphysics). for me, i have more than faith. i know beyond a shadow of a doubt that everything is connected, thanks to Dad, thanks to trusting my own inner experiences i continuously have, both in and out of a “formal” meditative state. all of life becomes a higher awareness, when we see, feel, and imbibe the Truth, the Oneness of All. we are all part of the web of life, and everything that happens to One, happens to all. in my next post i want to talk about the importance of keeping things LIGHT, how laughter and joy are true signals of right spiritual understanding. with all this information i share with you, i give it with love, with my blessings, but also remind everyone that having spiritual experiences makes one’s life filled with tremendous energy: we have entered the realm of great mysteries, and remarkably genuine joy. that true inner bliss is what all humans have as our birth-rights is part of the Mystery. all we have to do is reach within our own beings to discover we’ve had that joy all along. and then we can laugh and enjoy the play … the Oneness. if i don’t get to make another post soon, you’ll know it’s because i leave on tuesday (day after tomorrow) to join friends up in Newfoundland on their 70 foot sailboat. we’ll be exploring the southern coast of that glorious Canadian country, anchoring in isolated coves, backpacking and camping whenever we can safely leave the boat. i’ll bring my camera, but there is no phone service, and no computers where we will be. i’ll let you know how our adventure goes when i return. up up and away—-goin’ sailing!